Hogland Bound: Little Rock to Fayetteville for Razorback Fans. 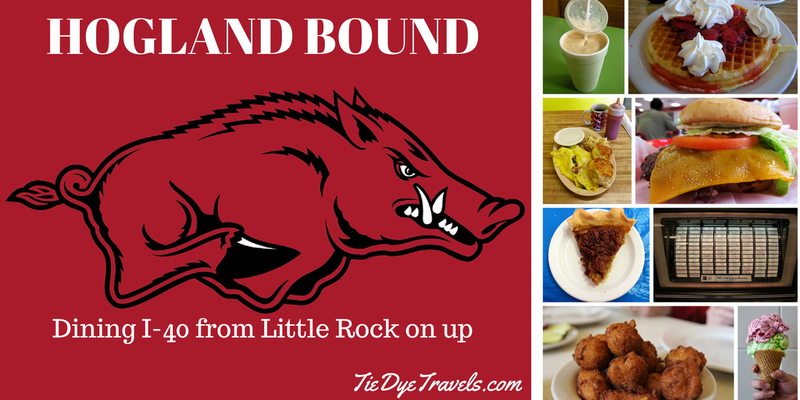 Heading to Fayetteville to catch the Arkansas Razorbacks in action? Have other plans in the area? 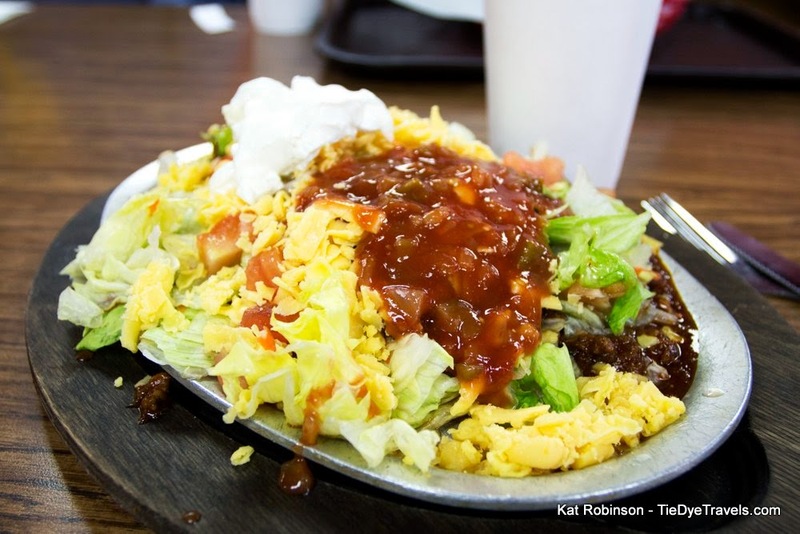 Here's a handy list in order of exits along Interstate 40, full of great places to grab a bite on the way up. Stroud's Country Cafe. You may have to park on gravel. This local joint fills up for breakfast to overflowing -- which is saying something about the sizable eatery. Look to overstuffed omelets and bacon for breakfasting and whatever the plate lunch special happens to be for lunch. Also, good burgers. 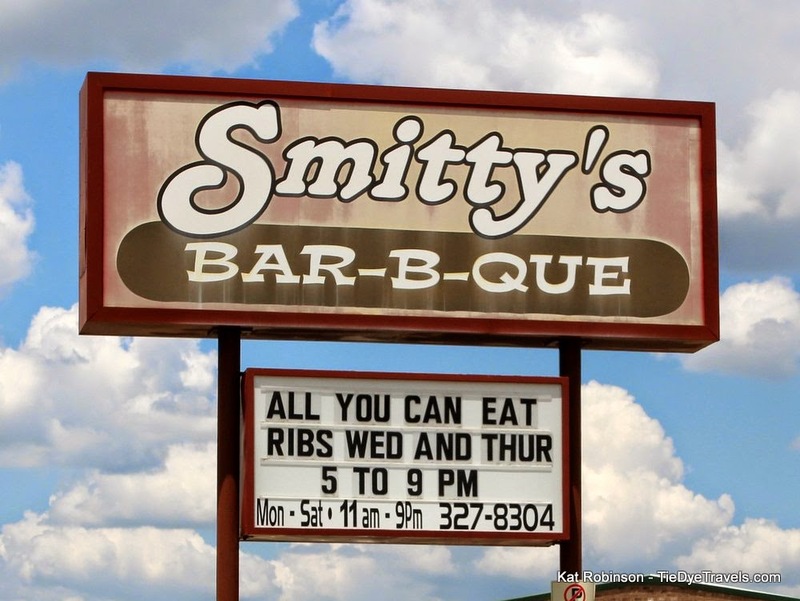 Smitty's BBQ. Barbecue done mighty fine not far off the Interstate, with choice of sauce including a nigh-on close bona-fide Shack sauce. Hungry for something? 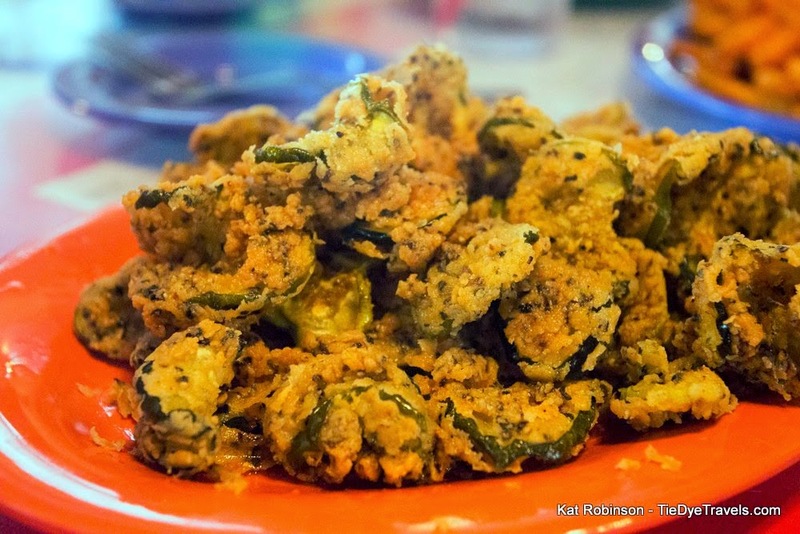 You're like as not to find it here -- barbecue stuffed potatoes, PurpleHull peas, fried pies, fried crappie (and if you don't know what crappie is, just WOW), turnip greens, Frito pies... about everything you can imagine. And the smoked meats -- beef, pork, ham, turkey -- are superb. 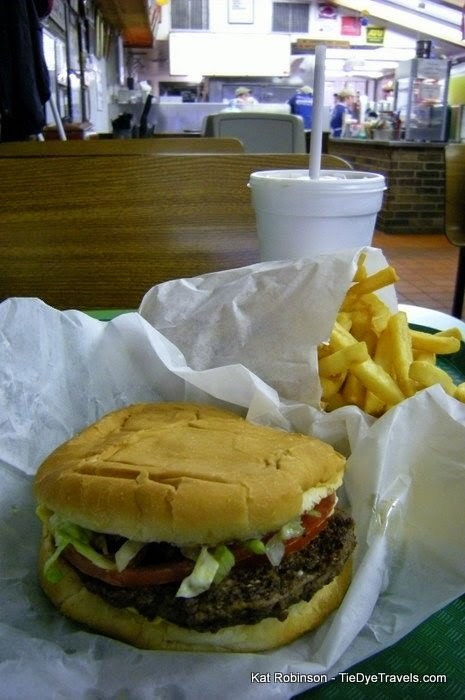 David's Burgers. It's a burger. But it's a burger at a place that does little more than burgers. Got on the road late? Roll through the drive-thru and get a burger and fries to go. 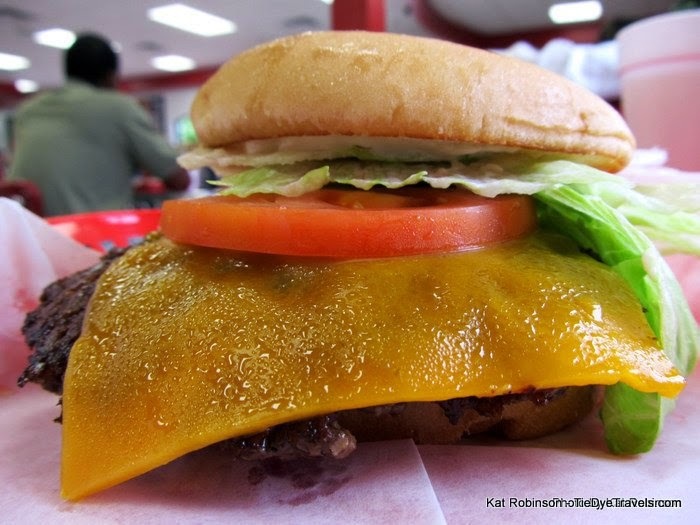 Hope you didn't wear your best clothes, though -- for those who add cheese and grilled onions to their sandwich, you've agreed to either a slippery, sloppy roadborne dinner or you're going to need to pull over and eat your burger with a fork. Atkinson's Blue Diamond Cafe. Good homecooked meals, burgers and a delightful array of ice cream confections. This one's a couple blocks from the highway atop a hill, but it's worth a stop-in. The fried pickles are plentiful, and the patty melt is a sin. Morrilton Drive Inn Restaurant. The menu's so large here, it's only contained by being included on menu boards that entirely surround the ordering window. Want Mexican? They got that. Breakfast? They got that. Strange burgers, catfish, barbecue? Check, check, check. Skip the fried pies by the register and get a milkshake to go. Mom & Pop's Waffles. Making your run on Saturday morning? Budget a little time for an old fashioned breakfast experience a couple of blocks south of the Love's station. 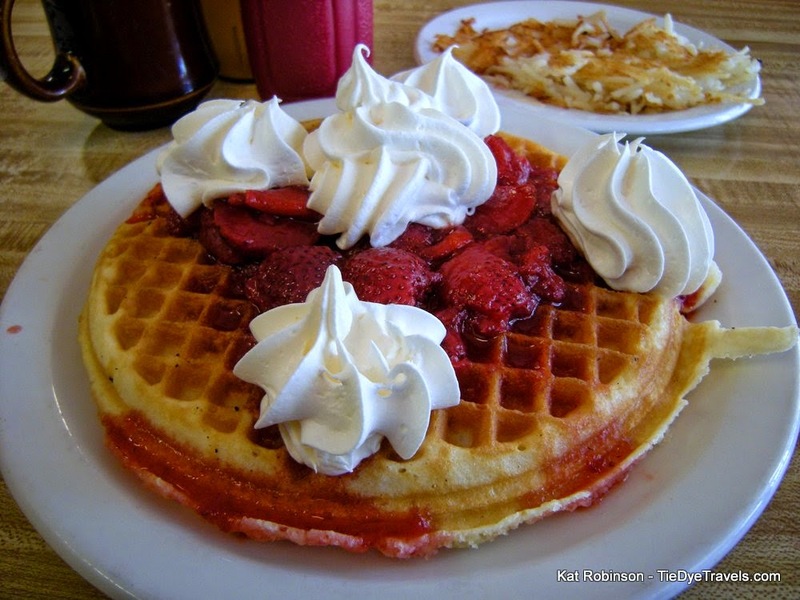 Lots of homemade specials here, and you can't beat their strawberry topped waffle. Feltner's Whatta-Burger. The traditional stop for Hog fans, all the way back to the late 1960s. Orders are taken on white paper bags just inside the entrance, then you stand in line a while and get up to the front. My suggestion? Though the memorabilia is awesome, you're ready to get to Fayetteville for the game. Call in your order (479) 968-1410 (wow, I didn't even have to look that up!) and pick yours up at the window. Remember, full size fry orders will feed a family. 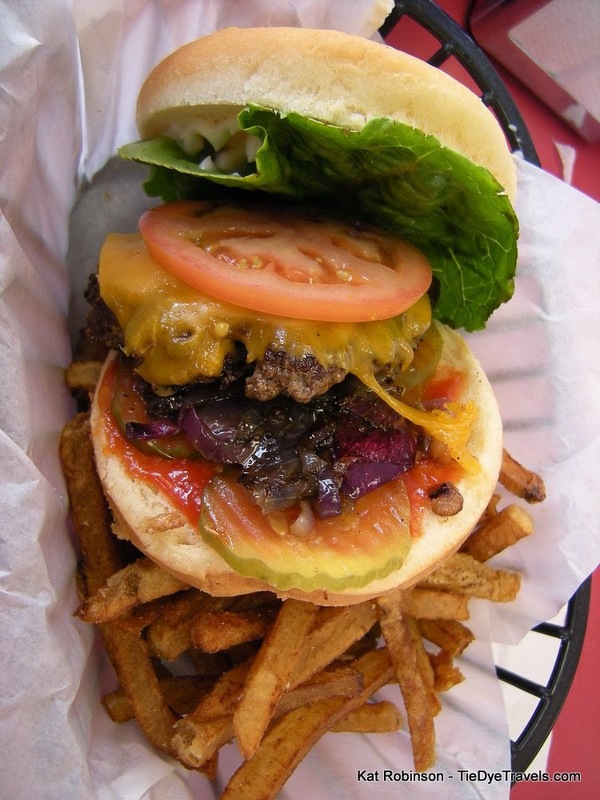 CJ's Butcher Boy Burgers. Burgers, fries, shakes and sodas. That's all this former Waffle House cooks up -- but it does all well. Take advantage of the free jukebox and relax a few. Bonus -- the interior is Razorback-friendly red and white. Sweet Treats. This one's specifically for folks coming in on Friday around lunchtime. You have to stop here and get pie. They have good plate lunch specials (today's is Mexican Casserole) and their chicken salad is humongous, the chili's pretty great, but there are always quite a few marvelous pies on the whiteboard at the front end of the restaurant. Get you a slice. Kountry Kitchen Grille. Worried about the crowds? Here's a hidden gem that features home cooking and a packed menu with some really great prices. However, what you really want to get would be one or several of Michelle's homemade desserts. Sometime's it's cake, sometime's it's pie, sometimes it's banana pudding. Whatever it is, get it and count yourself lucky. Rivertowne BBQ. Off the top of my mind, about the only place in the state that offers creamed possum on the menu. 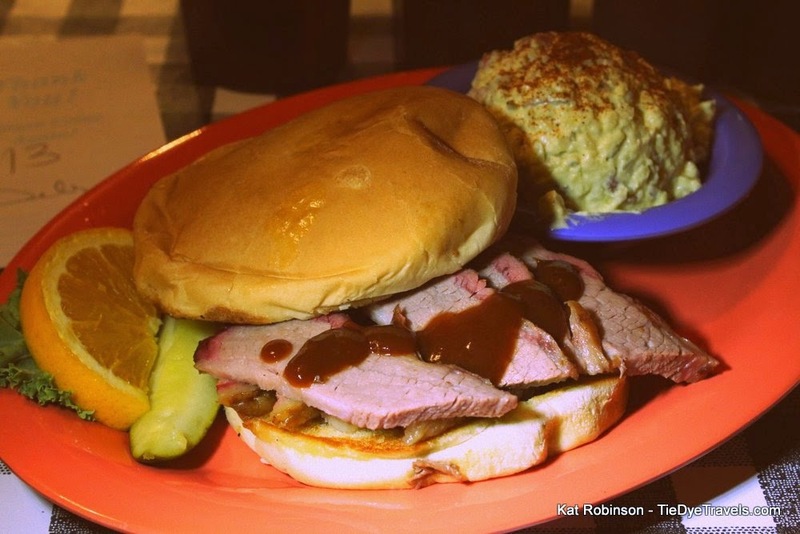 Located downtown about a block off the square, Rivertowne's specialties include ribs, chicken and brisket like buttah. Hillbilly Hideout. 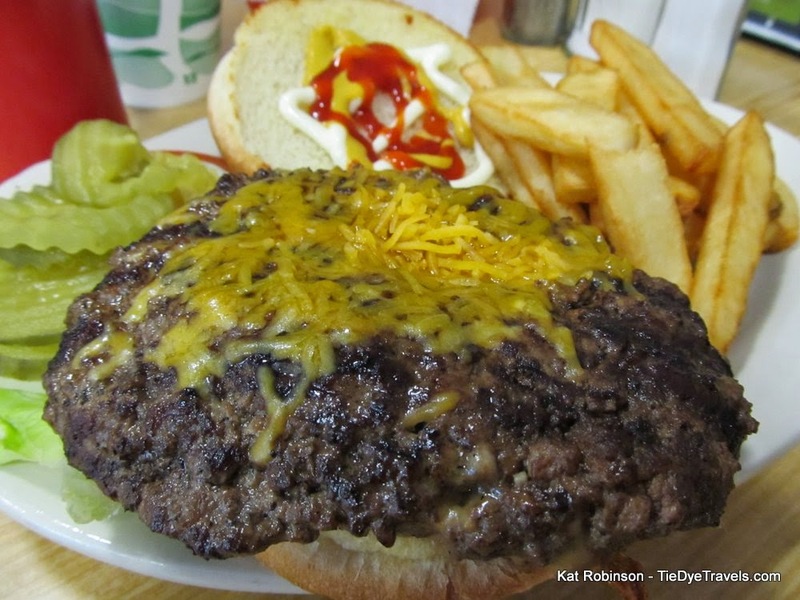 Located inside the I-40 Travel Center, this overlooked 24 hour diner is relaxed, has delectable breakfasts and does some fantastic burgers. If you're in too much of a rush for a sit-down meal, there's a full hot counter with barbecue, fried chicken, fried pies and more to go. Catfish Hole. 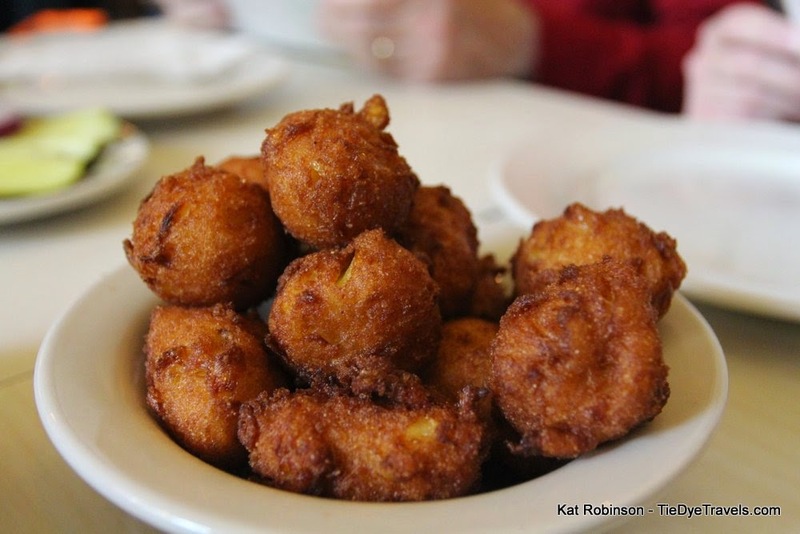 The best hush puppies in the state, in my honest opinion. Mind you, the new facility a few blocks north of I-40 is very modern and crisp, with gigantic photos of the family inside. Don't let that fool you. 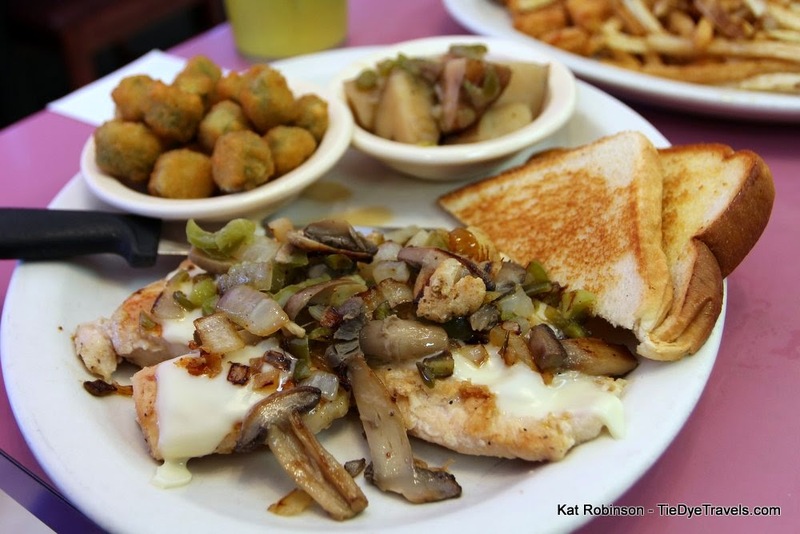 The catfish is decent, and the dishes are spot-on. Prepare for a wait, though -- it gets busy. Braum's. Yes, it's a chain, but as longtime Hog fans from Little Rock know, it's a special place. Braum's business plan means there will never be one closer to Central Arkansas, but that means having a burger, crinkly fries and an ice cream cone is a very special treat. On the way back, use that now-empty cooler to pack in a few cartons of ice cream to take home. D's Restaurant. 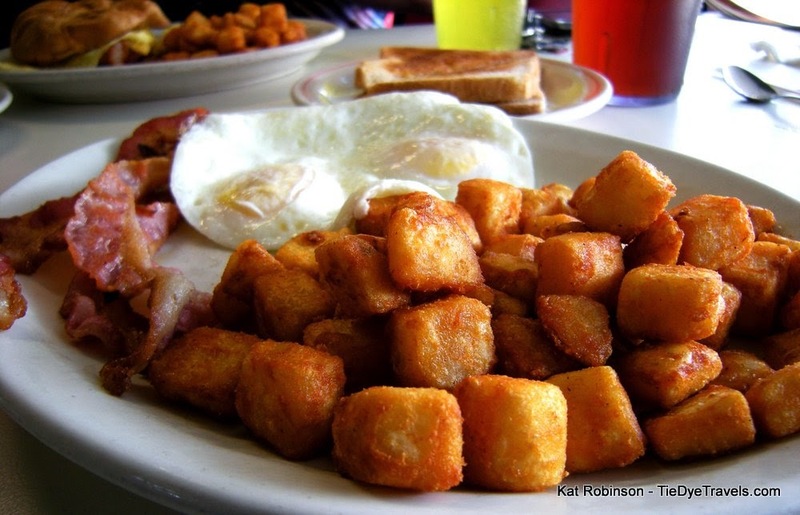 Want a cheap, complete breakfast in Alma? This is it. The bacon breakfast sandwich comes recommended, but I'm very appreciative that the cooks know how to prepare eggs the right way. Hilltop Travel Center. This travel plaza isn't just a truck stop -- two cooks manage all the dining decisions, and you can get a marvelous meal here. 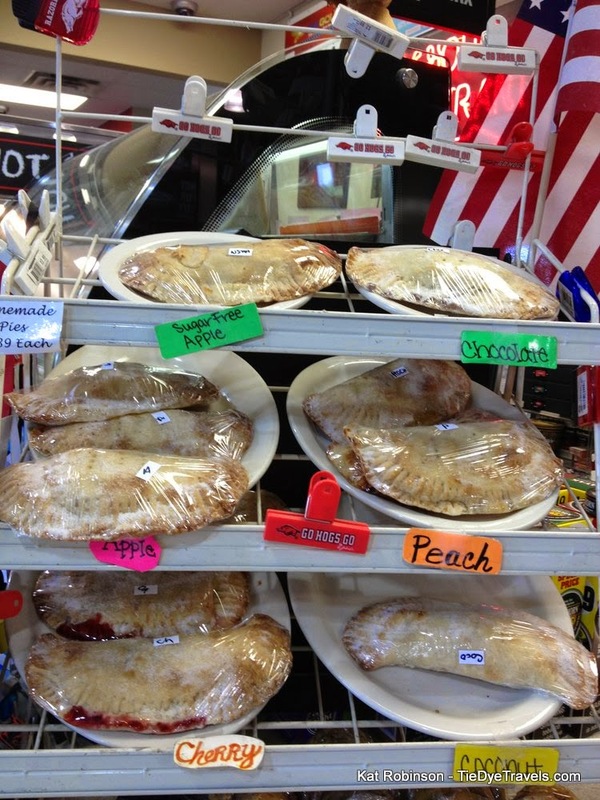 It's yet another place to pick up a great fried pie for the road, too. Also, last best easy spot for gas until after the Bobby Hopper Tunnel. 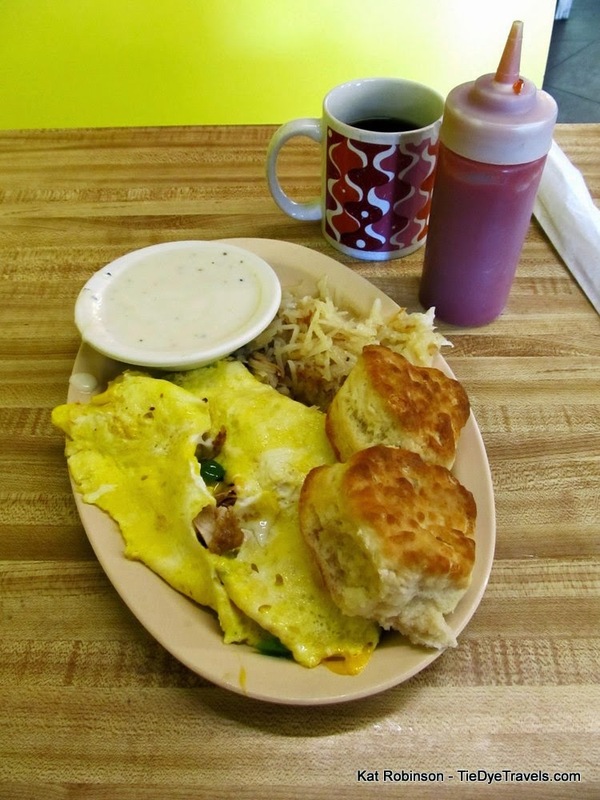 Take Highway 71 for nostalgia's sake, and stop in at Grandma's House Cafe. Longtime fans who have made the trek since before I-49 was built remember this as the Blue Bird House Cafe. This is the daughter's operation now, and it's been expanded upon time and time again. 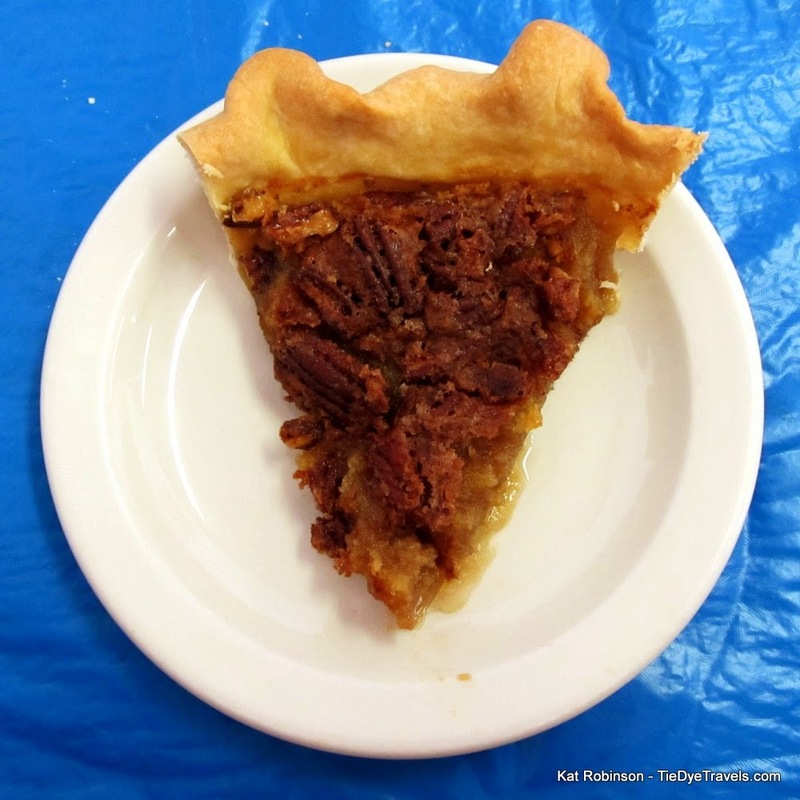 Good country cooking and always a marvelous selection of pies. Great list Kat! Anyone else hungry already? WPS! 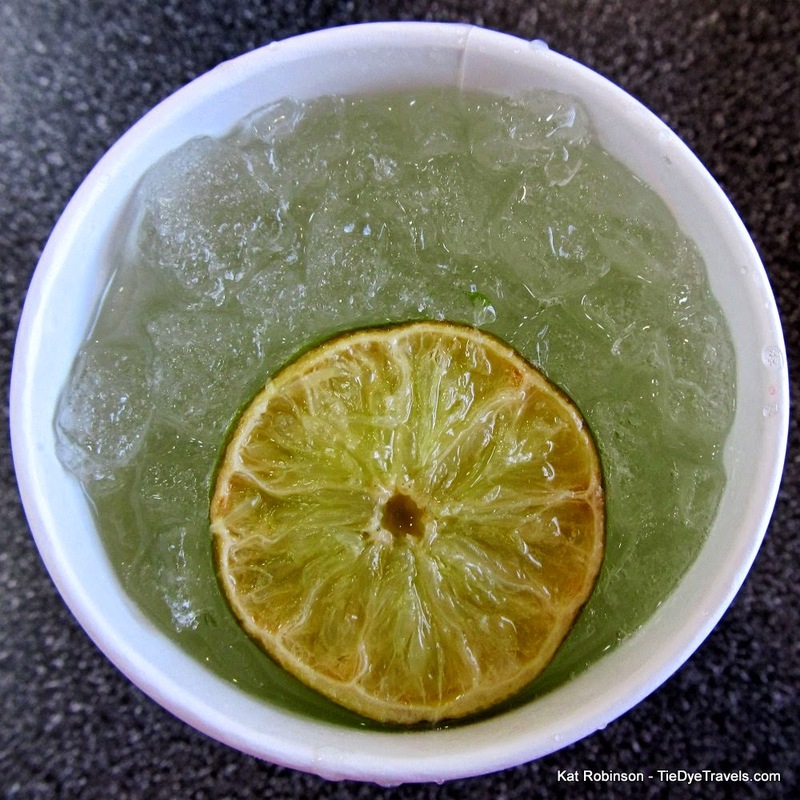 Have you had a chance to check out Crawpappy's in Alma, yet? I'm told it's very good and very reasonable.